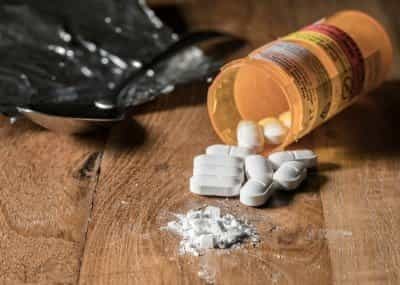 Opioid abuse and addiction in the United States are at epidemic levels, according to the Centers for Disease Control and Prevention (CDC). Between 2000 and 2015, a half-million people died from opioid overdoses. Since 2015, an average of 91 people die per day, due to prescription painkillers, heroin, fentanyl, and other opioid drugs. It is deeply important that people struggling with narcotics addiction receive help to overcome this condition. One of the leading treatments is Suboxone, a prescription withdrawal medication containing the partial opioid-agonist buprenorphine and the overdose-reversing drug naloxone. This medication has greatly helped many people end their body’s dependence on narcotics, which is the first step to ending an addiction. However, it is important to use Suboxone and other withdrawal medications with a doctor’s oversight; misapplication of these drugs can cause precipitated withdrawal, which is very uncomfortable. People who have taken opioids for a long time, even as prescribed, are likely to experience withdrawal symptoms. This problem can be reduced by using a medication therapy like buprenorphine to ease withdrawal or by tapering the original opioid until the person’s body is no longer physically dependent on it. If the person stops taking the drug suddenly, they are more likely to experience withdrawal symptoms, which can be very uncomfortable. Depending on the opioid’s half-life, withdrawal can begin within 12 hours, and the symptoms typically go away after 1-2 weeks. Precipitated withdrawal symptoms are more intense, rapid onset versions of the symptoms listed above. How Is Precipitated Withdrawal Different? Precipitated withdrawal typically occurs when a person suffering from addiction to full agonist opioids, like heroin, is suddenly introduced to a partial opioid agonist, often buprenorphine. While the partial opioid agonist will bind to the same mu receptors as full agonists, it does not induce the same effects because it has a low intrinsic activity. However, the partial agonist is able to displace the full agonist from the opioid receptors, so the effects of the full agonist opioid immediately stop. For a person who still has full opioid agonist chemicals in their body, because they have not begun withdrawal, taking a partial agonist like buprenorphine can cause rapid-onset withdrawal, or precipitated withdrawal. Spontaneous withdrawal occurs when a person does not take their next dose of a narcotic. In comparison, precipitated withdrawal is much more severe, and the person experiencing it can become very sick. It can often require hospitalization. Suboxone contains both buprenorphine and naloxone, a drug designed to temporarily stop overdose symptoms, so the person can get emergency medical attention. Naloxone kicks full and partial opioid agonists off the mu receptors and binds to them for a short time. While the drug does not completely stop withdrawal, it will stop it for a few hours. However, naloxone will only activate in Suboxone when the prescription drug is abused or tampered with; this is so a person taking Suboxone is deterred from abusing it to get high off buprenorphine. When it is taken as prescribed, the buprenorphine in Suboxone reaches the opioid receptors and eases withdrawal symptoms. Naloxone does not cause precipitated withdrawal in people who take Suboxone; it is actually the buprenorphine replacing a full opioid agonist when the individual still has this chemical in their body. However, naloxone alone can precipitate withdrawal by removing full opioid agonists from the brain. This is one method employed in rapid detox and ultra-rapid detox to flush opioids from the body and force the person to quickly end their physical dependence on the drugs. While withdrawal from opioids is not physically dangerous, this experience can be extremely painful and does not address the person’s habits or rituals around taking drugs. There is no counseling involved during this type of withdrawal. Without addressing behavioral changes during a tapering process where the person is physically monitored, the individual will likely go back to old habits of taking opioids, and without physical tolerance, the dose they are used to taking could lead to overdose. Rapid detox methods are not recommended by professionals. Another drug that can induce precipitated withdrawal is naltrexone. This medication is usually prescribed to people after they have safely detoxed from an opioid like morphine, codeine, or heroin. It blocks the high these drugs can induce, so if a person relapses into old habits, they do not experience the pleasure they expect. However, if naltrexone is administered before the person has completely detoxed from the opioid, the drug will precipitate withdrawal. There should be no full or partial opioid agonist in the body, or naltrexone will halt the drug’s action on the brain. Transitioning from a full or partial opioid agonist can be uncomfortable, so physicians should prepare to use other medications, like over-the-counter painkillers or anti-nausea medicines, to ease general symptoms of withdrawal. When a person does not have a high tolerance for opioids, a large dose of buprenorphine can act as a full opioid agonist, inducing a high. Conversely, if a person has a high tolerance for full opioid agonists like heroin, the larger the dose of buprenorphine, the more intense precipitated withdrawal will be if they have any of the full agonist still active in their body. Instead, small doses of buprenorphine may be administered safely without the person noticing. However, when beginning Suboxone or another buprenorphine therapy, it is important to stop the original drug of abuse, then wait until the person begins to experience withdrawal symptoms from not taking the drug. The presence of withdrawal symptoms means that the brain does not have the amount of opioid it expects, which influences neurotransmitter production and absorption. An overseeing physician should use the Clinical Opiate Withdrawal Scale (COWS) to measure their patient’s withdrawal; mild withdrawal symptoms range from 5 to 12 on COWS, which is the appropriate point to begin buprenorphine therapy. Anything less than 5 means that the person is not in withdrawal yet, and anything greater than 12 can indicate serious suffering for the individual. Working with medical professionals to safely detox from opioid drugs will prevent precipitated withdrawal or reduce the impact of the condition if it inadvertently occurs. It is important to know, however, that detox is only the first step in overcoming an addiction; ending the body’s dependence does not mean the chronic illness of addiction has been addressed. Comprehensive therapy provided by a rehabilitation program will address the addiction and help the person change their behavior as it relates to drugs or alcohol.